This is the result of a speech at “Grand Prix of Portugal” by Jan Cech and Ivan Zotov, the best Russian riders in the class the 49th. 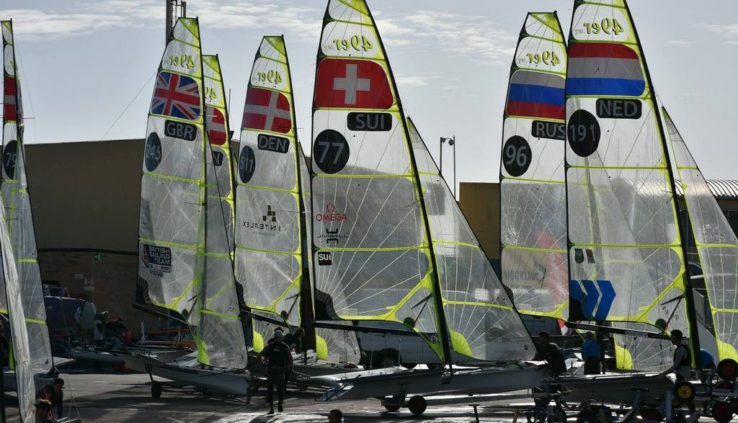 The regatta was held in the Portuguese town of Vilamoura, located on the coast of the Atlantic ocean, the athletes competed in 3 classes – 49th, 49th FX and Nacra 17. In total, the class 49-th for the regatta showed up 48 strongest teams from the European countries as well as from Oman and Canada. The winners were the Spanish Diego Botin Les Shaver and Iago Lopez Marra. Our guys shared his impressions of the regatta. Jan Cech: “we were Pleased with the size and composition of the fleet: at the start of a nearly 50 yachts, and here came many of the strongest racers from around the world. In such a competitive fleet, any mistake was very expensive, but it’s a valuable experience, especially at the start of the season. The regatta was not the simple weather conditions, so, on the first day the barrel up to 30 knots, we haven’t raced in that wind. On other days, for us the conditions were more optimal, but the wind oscillated strongly that left its mark. It was connected with a very large wave, between two crests, the wind occasionally disappeared completely. Ivan Zotov: “the collection and the regatta is very happy, competed in various wind conditions, had 9 races. Interestingly, many notebooks favorites tetroxide in distilled were not very stable. The result of the regatta in General consistent with our shape at the moment. It is clear that she is less than 60% of desired, but the beginning of the season preparation is necessary”. Note that in the class 49FX was made by another Russian crew – Zoya Novikova and Diana Sabirova. The girls took 29th place out of 36 participating crews.